OMG this video made us LOL. Just because life is ordinary doesn't mean it's not AWESOME! Summer break is in full swing! Going on a vacation is always a good time, but limited space on the airplane means you need to pack wisely. Keep these helpful travel tips in mind to ensure smooth travels. Make breakfast burritos ahead of time filled with any of your family’s fav ingredients. Wrap them in foil and put them in the cooler. Let them heat up in hot coals for breakfast! Cut a circle out of the top of an orange. Scoop out the flesh of the orange and put in a bowl to munch on. Fill the hollowed out orange with a cinnamon roll, wrap in foil, and place directly in the coals of a fire. The orange protects the roll from getting charred and the rolls get infused with a delicious orange flavor. 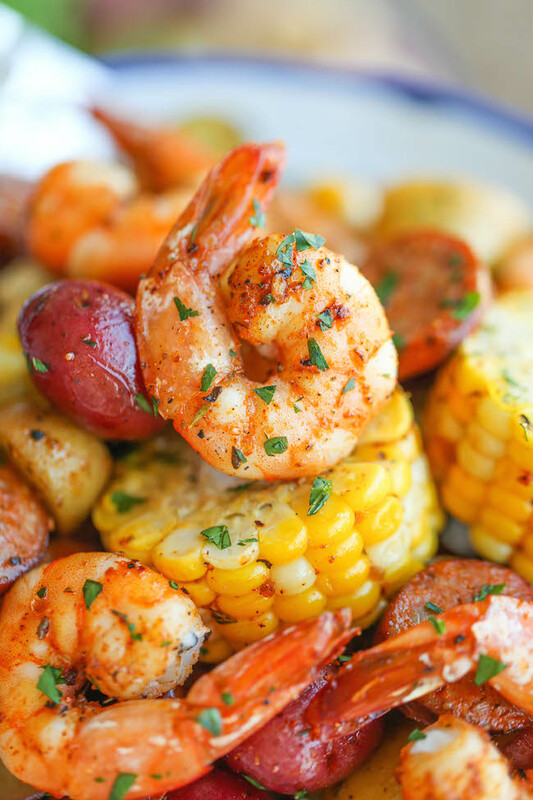 This is a super easy recipe that can feed the masses! Roll out pizza dough, add sauce, cheese, and all your desired toppings. Roll the pizza up into a log formation, tuck the edges, and wrap in thick foil. Keep the log in the cooler and then heat over the fire, flipping once, when you’re ready to chow! We <3 Mexican Street Corn. Grill the corn and then smear on a mixture of mayo, sour cream, and cilantro. Sprinkle with some lime juice, parm, and chili powder! You can make the smear before hand! YUM! 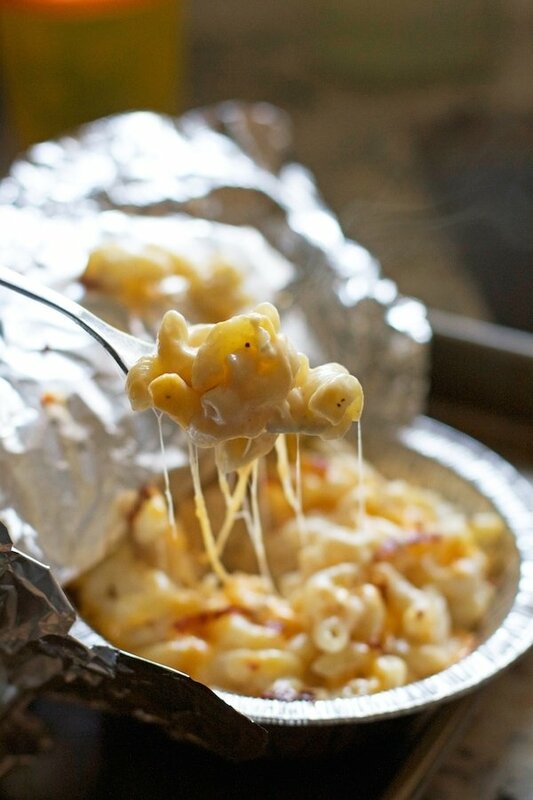 This recipe is great for camping because it doesn't require any plates to clean up. Cook ground meat and season. (You can cook before the trip and just warm the meat on the grill or fire) Fill mini Frito bags with meat, beans, cheese, and any other taco toppings! 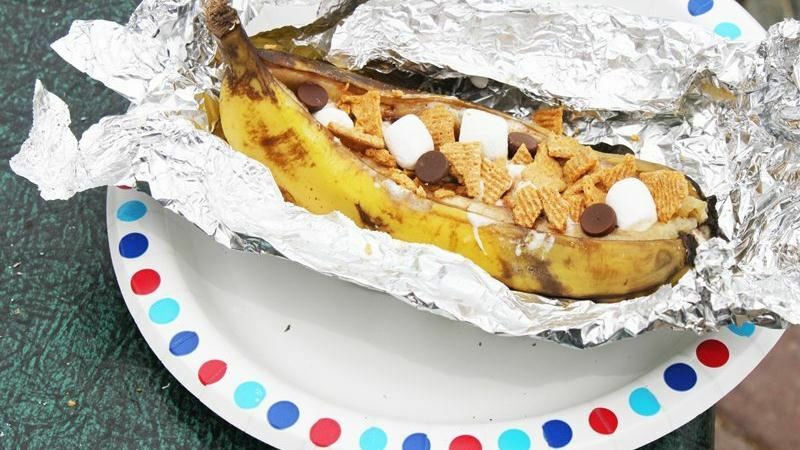 Place a banana (peal and all) in foil, cut the banana in half and fill it with chocolate chips, marshmallows, and Golden Graham’s cereal. Heat over coals. (We like to convince ourselves the banana makes this one a healthy version of s’mores). 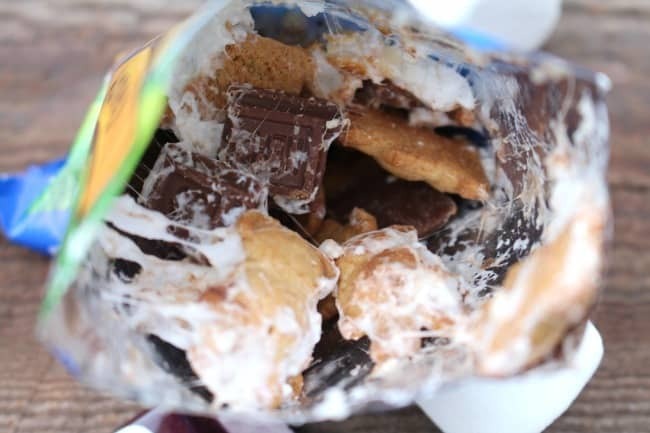 Roast marshmallows and throw in single serving bags of Nilla wafers, Teddy Grahams, or animal crackers with some chocolate chips! This way eliminates some of the mess that comes with traditional s’mores. 10 Hacks and Tips for Camping with Kids! 1. Make a DIY lantern! 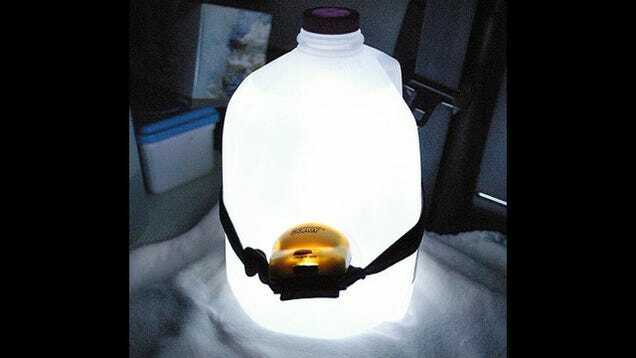 Wrap a head lamp around an empty gallon to make a lantern. You can also put a battery-powered votive candle in empty peanut butter containers to make smaller lanterns. Hang the lanterns in the middle of the tent for light or leave outside to use at night! 2. Repurpose a container can to hold and protect TP. 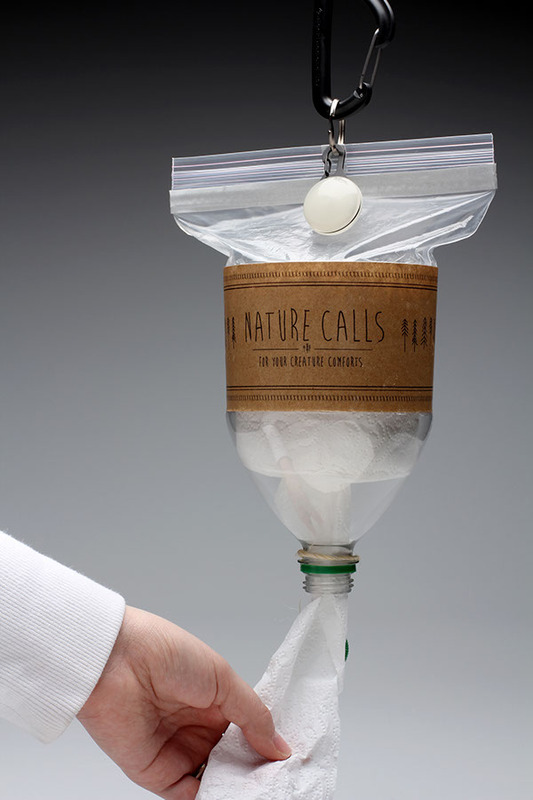 Use an old coffee container or soda bottle to keep TP clean and dry! Also, Doritos (and other corn chips like Fritos) make great kindling! 4. Make a DIY hand-washing station. Kids and dirt go hand in hand. Camping makes the amount of dirt increase exponentially. Use an empty detergent dispenser to keep kiddos (and adults) clean after long days playing outside. Here at kidecals we’re all about natural products. What we’re not all about: bugs. There are tons of homemade bug repellents you can make from herbs and essential oils to keep different bugs at bay. There are lots of recipes online for all types of critters depending on what you’re trying to keep away. We always bring a simple spider repellent made of water and peppermint oil to spray around the tent. Also, burning sage helps keep mosquitos away - you can just throw a bundle in the fire! Kids can generally stay entertained for a while just being outside, but after a while you might start hearing the dreaded, “I’m bored!" Bring activity bags with things like friendship bracelets, other arts and crafts, and cards. Make a nature scavenger hunt! Fill empty plastic water bottles with glow sticks and have night time bowling! 7. Bring frozen water bottles instead of ice! Fill clean, empty jugs with water and freeze them before going on your trip. This hack saves money on ice, keeps the other stuff in the cooler cold, and when it melts, there’s more drinking water for your family! If you don’t have an air mattress or cot, bring foam tiles or yoga mats to pad the floor and separate sleeping kiddos from the cold ground. Hang a over the door shoe organizer on your tent to keep supplies organized and accessible. Make a good camping checklist to make sure you don’t leave behind any of the essentials. You don’t want to be left without a tent, tp, or enough water. We always bring plenty of wipes, ziplock bags, and paper towels. And don’t forget the trash bags! Have fun with the whole family this Independence Day. These Patriotic Crafts & Snacks are perfect for the 4th of July! Make your party stand out with these DIY decorations and festive recipes. It’s best to apply sunscreen 15-20 minutes before sun exposure, and don’t forget to re-apply every two hours! The end of the school year is quickly approaching! 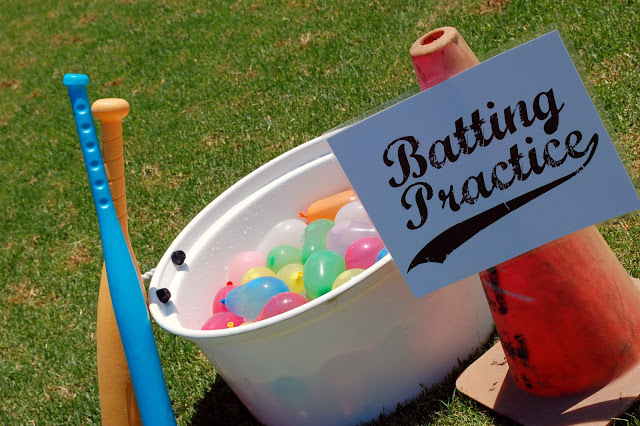 Be sure to have a few tricks up your sleeve to keep bored kids entertained this summer break. 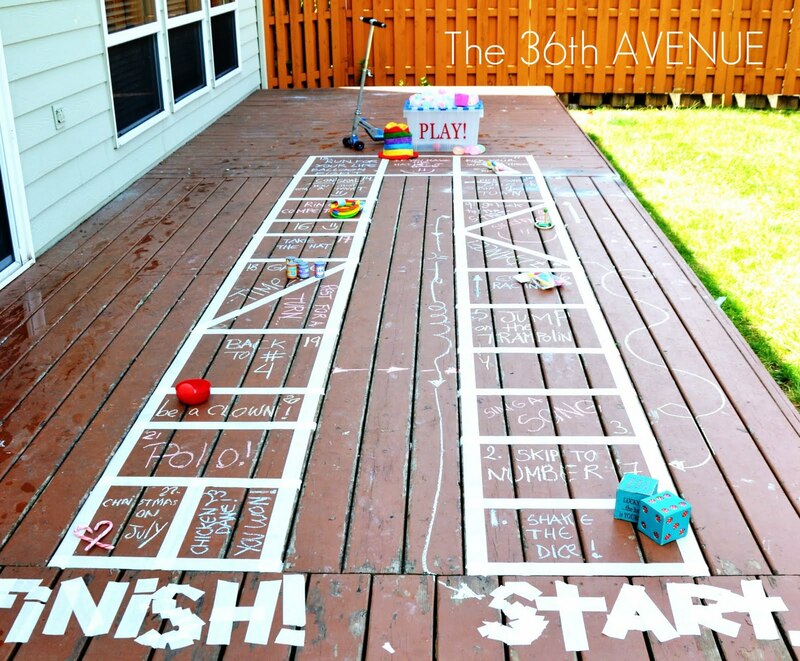 Tape down the game board and then add fun activities in each box, like singing a song or jumping rope. Just grab some glue, food coloring, toothpicks, and some sort of canvas to get the creativity flowing. All you need to make the bubble solution is water, soap and a hard-shell kiddie pool. 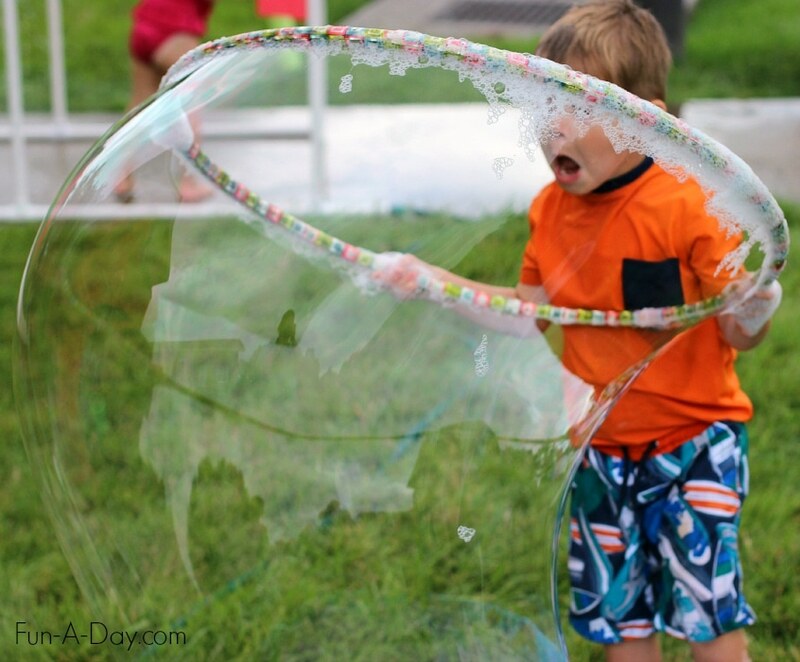 Grab a hula-hoop and spend some time outdoors blowing out-of-this-world bubbles! Adjust the height and challenge of the course to your child’s age and ability. 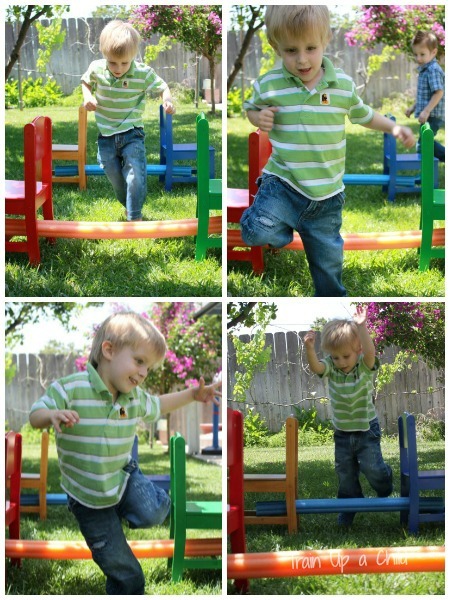 This fun activity helps the development of motor skills in young children. 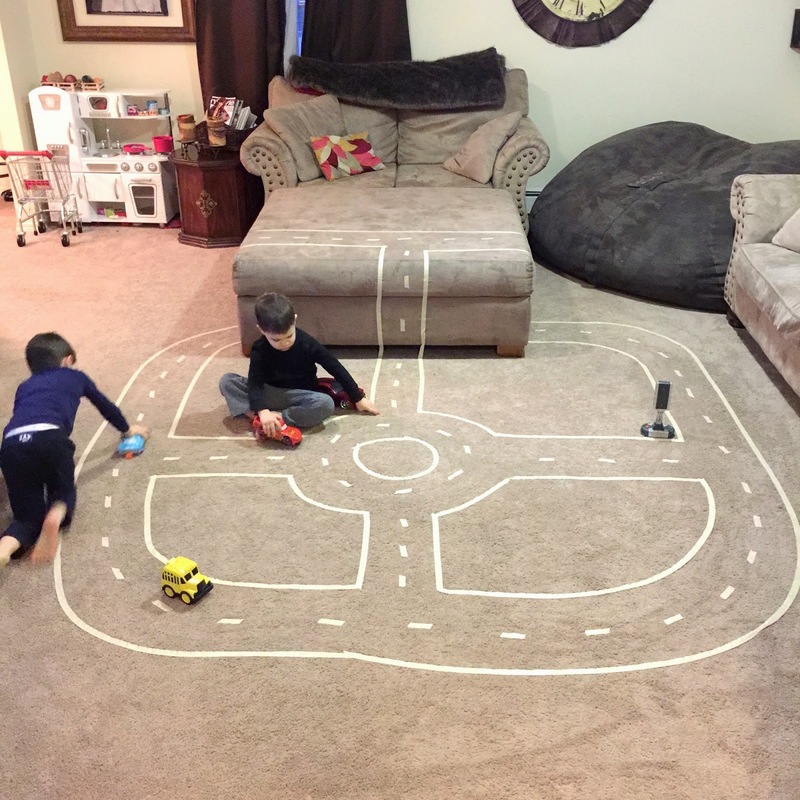 Use your floor, carpet and even furniture to create a fun indoor activity for those not-so-sunny summer days. Keep their math skills sharp over the summer by having them add up all their points. The perfect way to cool down in the backyard. Add points to each hole to ramp up the fun! 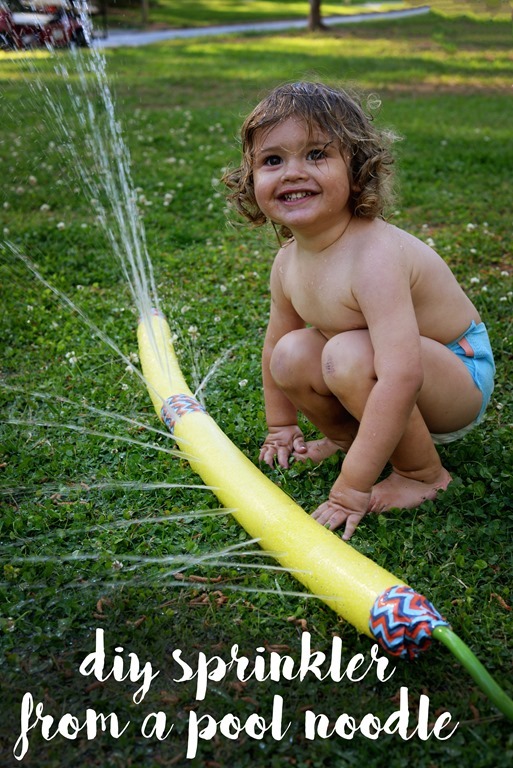 All the fun of a water park right in your backyard! To download the book and printables click here. Summer is just around the corner. And with summer comes summer camp! With chaotic cabins and changing activities, it's easy for kids to lose track of their stuff. To avoid lost stuff, label it! Kidecals labels are super durable and are laundry safe, so they can even be used to label clothes. Check out these Camp Labels here!